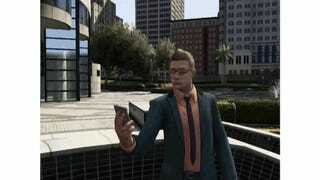 ​GTA Online Music Video Is About Getting Rich. Of Course. What else is there to do in Los Santos, really? A hit Pet Shop Boys song gets the GTA Online treatment in this machinima music video from YouTubers Vader2K and TK7554. Something about the long shots of suited-up dudes walking and Lifestyles of the Rich and Famous-style glamour pans reads as very 1980s to me. Not a bad job, guys.